Check out the frequently asked questions section and if you still have questions, please contact us. Student loan refinancing is the process of combining one or more federal and private student loans into a single loan with new terms, including a new (hopefully lower!) interest rate, monthly payment amount, and/or repayment length. The Federal Student Loan Consolidation program similarly combines only your federal loans into one payment, but it uses a weighted average of all of your interest rates, and it does not offer consolidation of any student loan debt obtained from a private lender. When consolidating student loans, two or more student loans are combined into one loan with one interest rate and one loan servicer. In the majority of cases, student loan consolidations involve federal loans. When a borrower consolidates their federal student loans into a federal Direct Consolidation Loan, the consolidated loan’s rate is a weighted average of the original loans’ rates. Student loan consolidation streamlines multiple payments into one payment in order to alleviate the burden of having to pay multiple lenders on a monthly basis. Typically when student loans are refinanced, the lender changes; two or more student loans are combined into one loan with a new lender at what may be a lower interest rate. This may allow borrowers to pay less interest over the life of the loan, providing them with valuable savings, or stretch the term of repayment to obtain a monthly payment that better fits their budget. Any student loan debt that was used for financing your education from an approved post-secondary institution, such as SouthEast Bank private loans, private student loans from other lenders, or your federal student loans, i.e. Stafford, Grad PLUS, Parent PLUS, and Consolidation Loans, etc. can be consolidated into one loan through Education Loan Finance. Even if you consolidated all of your federal student loans into a federal Consolidation Loan, you can refinance the Consolidation Loan with an Education Loan Finance loan. No other consumer debt, such as credit card, auto, or mortgage, can be included even if it was used to pay education expenses. Keep in mind that if you consolidate federal student loans, you may lose some alternative repayment plans associated with the federal government loan program. Education Loan Finance may require a cosigner if you do not qualify based on credit approval factors such as your own credit, income, or debt-to-income ratio. Will my student loan interest be tax deductible if I refinance with Education Loan Finance? Under the current federal law, education loans refinanced with Education Loan Finance retain their student loan classification for tax purposes. However, SouthEast Bank cannot provide tax advice so we suggest you consult your tax advisor for more information. Who is SouthEast Bank and Education Loan Finance? SouthEast Bank is a Tennessee State chartered bank, headquartered in Knoxville, Tennessee. The SouthEast Bank management team has over 30 years of experience in the commercial banking and student loan industry. SouthEast Bank launched the Education Loan Finance division to provide lower cost student loan refinancing options to borrowers nationwide. I didn’t graduate from college. Can I still consolidate my student loans? SouthEast Bank requires completion of a bachelor’s degree or higher from an approved post-secondary institution in order to be eligible for consolidation through the Education Loan Finance program. Can I consolidate my student loans with my spouse’s student loans? Although spouses are eligible to serve as cosigners on an application, the Education Loan Finance program does not consolidate student loan debt among multiple borrowers. Will the refinanced loan have a variable or fixed interest rate? Education Loan Finance offers both fixed and variable interest rates. By learning more about how to refinance student loans and by choosing the right program you can convert a variable interest rate to a fixed interest rate loan or vice versa. Fixed interest rates will not change from year to year, but variable interest rates will fluctuate based on the LIBOR index and may increase or decrease over the life of the loan. Is consolidating or refinancing my student loan debt the right decision for me? Consolidating or refinancing your education loans may be the right decision for you if you need more money in your pocket right now because it can extend the life of your loan and potentially lower your current monthly payments (depending on the amount of debt you have). If you don’t necessarily need the extra cash and just want the simplicity of a single monthly payment, you can still use any extra money you save to pay down the principal faster without any penalties. To learn more, check out some additional information on consolidating and refinancing. Can refinancing be a bad idea? If you only have a couple more years or a few thousand more dollars to go until you pay off your student loans, refinancing may be more hassle than it’s worth. Switching to a new lending institution may eliminate any benefits you’ve earned over the years, so thoroughly investigate how consolidating or refinancing your student loans will change the terms of your existing student loans. To learn more about refinancing and consolidating your loans, check out this blog post with information on topics that might require a second look during the process. Do you offer temporary forbearance for an economic hardship? If unable to repay the loan because of hardship such as financial or medical difficulty, the lender, SouthEast Bank, may grant forbearance for up to 12 months. Forbearance is at the discretion of the Bank. Do I have to consolidate or refinance all my loans at once? No, you don’t have to refinance or consolidate all of your student loans at once. While going through the application process, you will be able to indicate the amount as well as which student loans you would like to refinance. If approved, Education Loan Finance will only pay off the loans you indicate. Do I need a cosigner? Does Education Loan Finance offer cosigner release? You don’t have to have a cosigner when applying to refinance with Education Loan Finance. However, a cosigner may improve your chances of being approved and help lower your rates when applying. A cosigner may not be taken off your loan but you can apply for a new loan without your cosigner. Yes, you can consolidate federal and private loans with an Education Loan Finance loan. No other consumer debt, such as credit card, auto, or mortgage, can be included even if it was used to pay education expenses. Keep in mind that if you consolidate federal student loans, you may lose some alternative repayment plans associated with the federal government loan program. Do you refinance student loans in any state? Yes, Education Loan Finance can refinance student loans in all 50 U.S. states as well as Washington DC and Puerto Rico. What is a Payoff Verification Statement? A Payoff Verification Statement is a statement prepared by the lender or servicer showing the remaining total amount due as a specific date on a student loan. The amount takes into account the loan balance, interest, fees, and the future payoff date provided. Education Loan Finance uses this payoff statement to finalize the loan for you so that we can pay off your current lenders and then become your new lender. Can my refinanced loans be considered student loans for tax purposes? Education Loan Finance’s refinanced student loans can be considered student loans for tax purposes. However, certain limitations can apply. Because we are not tax professionals, you should consult your tax advisor for more information. Can Education Loan Finance refinance my student loan if I have already refinanced it with another lender? Yes, Education Loan Finance can refinance your loan if you have already refinanced it with another lender. Do you offer cosigner release from my existing student loans? We do offer cosigner release, which releases any cosigners from your existing student loans if you qualify for an Education Loan Finance loan based on your own credit history. What are Education Loan Finance’s eligibility requirements for consolidation? To qualify for refinancing or student loans consolidation through Education Loan Finance, you must have at least $15,000 in student loan debt and must have earned a bachelor’s degree or higher from an approved post-secondary institution. You must be a U.S. citizen or permanent resident at the age of majority or older and have a debt-to-income ratio that indicates you have the capacity to repay the loan. All loans are subject to credit approval. Additional terms and conditions apply. What loan amounts are eligible to be refinanced by Education Loan Finance? You must have a minimum amount of $15,000 in qualified student loan debt in order to refinance with Education Loan Finance. The maximum amount of student loan debt that can be refinanced with Education Loan Finance varies based on eligibility. What documents will I need to complete my application with Education Loan Finance? To speed up your student loan refinance, be sure to have current billing statements for each of your student loans, your most recent pay stubs, W-2’s, a copy of your valid ID, and your billing account information ready. You can find a complete list of required information on our document checklist. What information do you need about my current student loans? Please note that each statement should not be more than 30 days old. Additionally, if you plan to exclude some loans from a single servicer, you will need to provide sequence numbers, loan IDs, or any identifying number for each loan to be included in your refinance. Click here to view sample statements. Will the application process affect my credit score? During prequalification, Education Loan Finance will perform a “soft credit pull” to provide you with preliminary rates and terms that you may qualify for. This will not affect your credit score. However, once you choose your loan product and submit an application, Education Loan Finance will request to view your full credit report which will show up as a hard credit inquiry. These inquiries are common among lenders and necessary for Education Loan Finance to make final rate and product offers. Your reference can be anyone over the age of 18 that does not live at the same address as you or your cosigner (if you apply with one). Your reference cannot be the same person as your cosigner. Also, you and your cosigner cannot use the same reference. Can my cosigner and I have the same email address? No. The borrower, cosigner and references cannot have the same email address. The application process is quick and easy. After filling out some personal and financial information as well as information regarding your student loan(s), you will be able to upload documents and submit the application for review. When going through the application process, there is an option to add a cosigner. The application will then prompt you to add the cosigner’s name and email address. Your cosigner will receive an email with instructions to upload the necessary information. If I receive a pre-qualification interest rate range does that mean I am automatically approved for the loan? No. Education Loan Finance still has to go through the underwriting process to determine if a borrower is eligible for a loan. Pre-qualification does not automatically qualify you for a final offer. The interest rate is the percentage of the loan amount that is charged for borrowing. The APR (Annual Percentage Rate) reflects not only the interest rate but also includes certain fees charged by the lender. Education Loan Finance does not charge any origination or other finance fees so the interest rate and APR on your Education Loan Finance loan will be the same. Do you have an autopay discount? Rather than offering a discount to only those customers who agree to sign up for ACH, all Education Loan Finance borrowers receive the benefit of a lower rate that is calculated based on the requirement that Education Loan Finance loan payments be made through some type of electronic payment or transfer. This provides our lowest rate possible to each borrower from the start, regardless of which electronic method they use to make their monthly payments. Do you offer interest rate caps? Yes. Borrowers who take out a variable rate loan will never have their rate exceed 9.95% APR*. What is the basis for Education Loan Finance’s variable rate loans? What is LIBOR? Education Loan Finance’s variable rate loans are based on 3-Month LIBOR. LIBOR (London Inter-Bank Offered Rate) is a benchmark rate used by the world’s leading banks when making short-term loans with each other. This index is the first step to calculating our variable interest rates. The interest rate on an Education Loan Finance variable rate loan may increase or decrease as the 3-Month LIBOR index increases or decreases. This index can be found in resources like The Wall Street Journal. How often will my variable rates change? Rates are subject to change without notice until a Student Loan Refinance Approval Disclosure is provided by Education Loan Finance. After a variable rate loan is funded, the rate is subject to change quarterly on January 1st, April 1st, July 1st, and October 1st. The Application and Credit Agreement provides more information about how variable rates are calculated. Are there additional fees I'm expected to pay? There is no application or origination fee and no penalty for paying off your loan early. However, if SouthEast Bank does not receive any part of a payment within 10 days after the due date, it may assess a late fee of 5% of the past due amount or $50, whichever is less. The borrower may be charged $30 for any payment (including electronic payments) that is returned unpaid for any reason. Repayment starts 30-45 days after disbursement. If you are currently enrolled in a grace period on your student loans, contact an Education Loan Finance application specialist to discuss your options and for help determining if refinancing today fits your budget. Monthly payments are based on a number of factors: amount of the loan, number of years in which it will be repaid, and interest rate (fixed or variable). To get an idea of what you can expect and what term might be right for you, try out our Payment Calculator. Is there a penalty for paying off my loans too early? There is no penalty for paying off loans early. You can pay more than the monthly amount if you would like without incurring a penalty. When can I expect my old loans to be paid off? Typically, it will take 30-45 days for the existing loan provider to receive the payment and apply it to your account. It is important to check with the existing provider to ensure the payoff has been applied properly to your account. How long do I need to continue making payments with my existing lender after I refinance? To avoid missing a payment, you will have to continue paying your existing lender until disbursement goes through. Any amount overpaid to your existing lender that is sent to Education Loan Finance will be applied to the principal balance on your new loan. Where can I view my payment information on my Education Loan Finance loan? Once you are accepted for an Education Loan Finance loan, the monthly payment amount can be found in the Truth in Lending Approval disclosure. Once this document is approved, MOHELA will reach out to set up your payment information going forward. MOHELA (Missouri Higher Education Loan Authority) is the third party loan service provider that Education Loan Finance partners with to service your student loans. Once you accept your loan, MOHELA will reach out to you to set up an account that you will use to make monthly payments. Can my monthly statements be sent electronically? Yes. It is highly efficient to sign up for e-statements with MOHELA, our third party loan servicer for student loans. Yes. 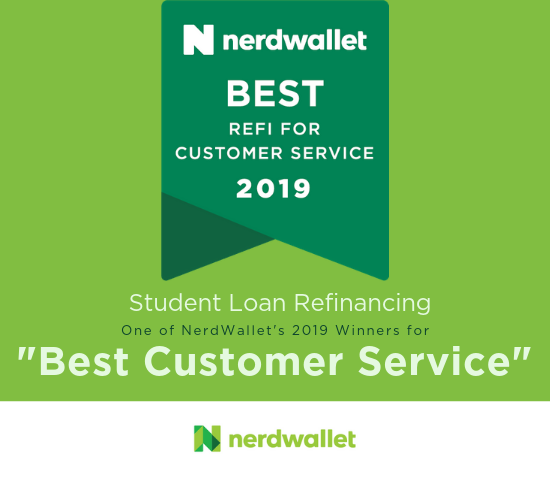 The Education Loan Finance Referral Program is a rewards program for anyone who successfully refers individuals to refinance a student loan with Education Loan Finance. Whenever a new customer registers for the program through your referral link and completes an Education Loan Finance loan within 90 days of registering, you will receive a $400 cash bonus via check (you will be required to submit an IRS Form W-9) and the referred customer will receive a $100 bonus via a reduction in the refinanced principal loan balance within 6-8 weeks after the loan disburses. A new customer is defined as an individual without an existing Education Loan Finance loan account or who has not held an Education Loan Finance loan account within the past 24 months. Click here to register.